New Page Books, 9781601632302, 272pp. Does life end at death? The answer is no! 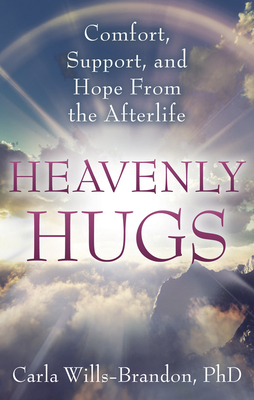 The nearly 2,000 cases of departing visions and visitations from deceased relatives and friends collected by the author prove that there is life after death. At the moment of physical death, departed loved ones return to the dying to ease travel from this life to the next. Friends, family, and healthcare workers also report seeing these loving spiritual travel guides. Such encounters--reported by individuals from a wide variety of cultural, ethnic, and religious backgrounds--clearly illustrate that the personality, soul, or consciousness does not disappear or "die." To live our lives to the fullest, we must relieve ourselves of the false notion that death is the end. Departing visions help us do this. Carla Wills-Brandon has published 13 books, one of which was a Publishers Weekly best-seller. A licensed marriage and family therapist and grief expert, she has worked with individuals impacted by the explosion of the Challenger space shuttle, the bombing of the World Trade Center, Holocaust survivors, and veterans returning from Iraq and Afghanistan, among many others. Wills-Brandon is one of the few researchers focused on the departing vision as proof of life after death. Having researched nearly 2,000 such encounters for more than 30 years, she is a sought-after lecturer and has appeared on numerous national radio and television programs.